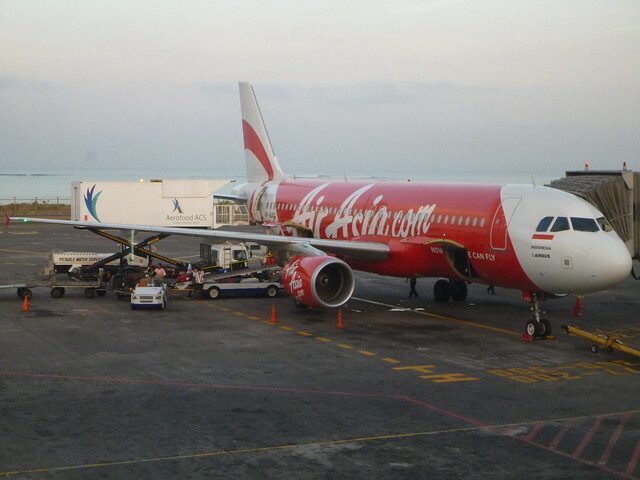 After spending 48 hours in Darwin, I was a guest of Air Asia on a very brief tour of Bali. Air Asia is a Malaysian owned Airline that has a fleet of Airbus A320 jets covering South East Asia and has won the Skytrax award for Worlds Best Low-Cost Airline in 2009, 2010 and 2011. In Mid 2011 Air Asia agreed to purchase 200 more Airbus A320neo jets which the BBC reported is the “largest single order of commercial aircraft in history”. Do not let porters at the airport wearing grey/blue shirts wheel your luggage. They will want payment before they give the luggage back. 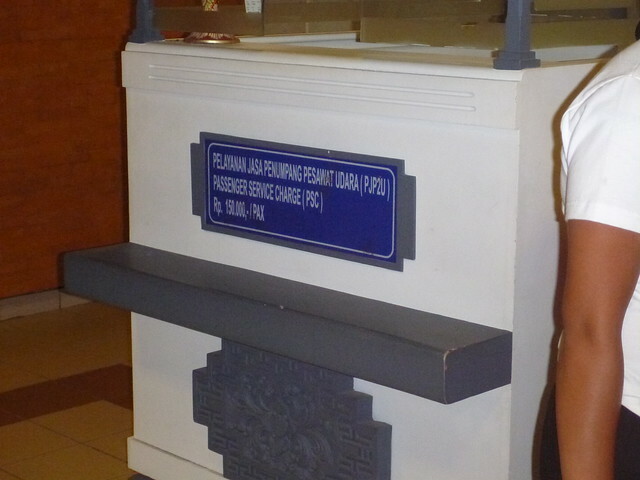 The first thing you have to do at Bali’s Denpasar International Airport is to pay a $US25 entry visa. You can pay in Australian dollars upon arrival in Indonesia and they will give you change at a good rate if you pay them with a $50 or $100 Australian note. 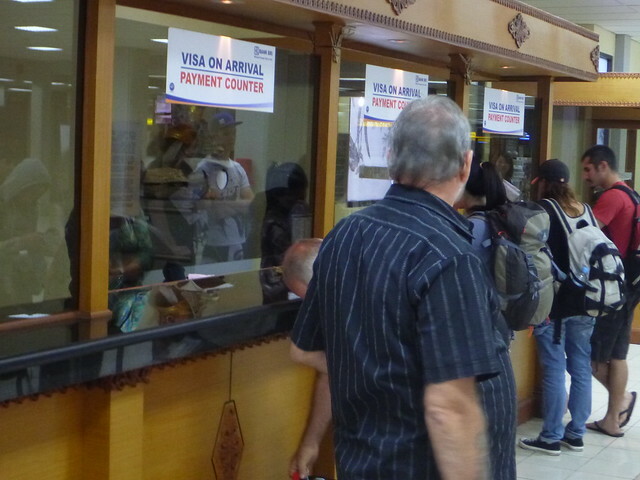 On departure you need to pay 150,000 Rupiah exactly in local currency before you can fly home. I suggest using the 28 Degrees Credit Card whenever overseas to save on bank fees and get a good foreign exchange rate. The heat, humidity and smells of Asia signal that you’re in a very different part of the world even though the flight from Darwin only takes about 2 and a half hours. The sun is harsh so sunscreen a hat and drinking *lots* of water is a must. I don’t generally like buying bottled water because it is so wasteful but don’t drink the Bali tap water which tastes horrible and might give you “Bali belly”. Different Indonesian islands/regions can have very different cultures and languages although Bahasa is the common over arching language spoken by everyone. Ma Ca Si is slang for thank you. It must be said that unfortunately the tropical weather and affordable prices offered by Bali attracts a certain kind of Australian, namely “Bogan” in droves. Stay away from Kuta, Legian and parts of Seminyak frequented by these people if you’re the kind of traveller who is polite to locals, wants to learn their culture, view the scenery and not just get smashed drinking the local beer. 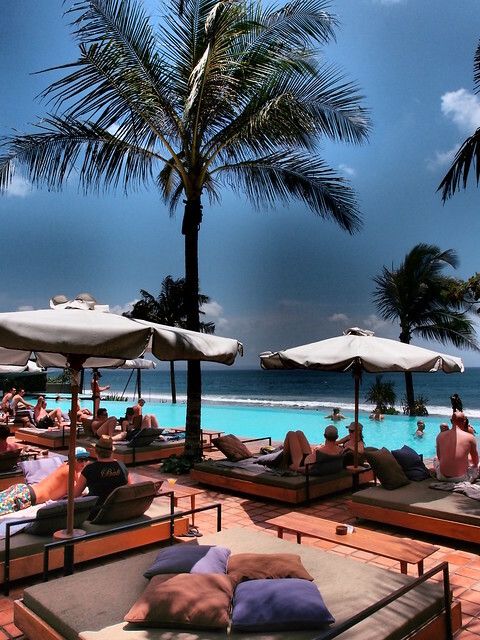 I was a guest of Oasis Beach Benoa Hotel but unfortunately as the trip was so short (about 36 hours) I didn’t really get to use any of it’s facilities. If you arrive/depart Bali on the weekend you’ll be less affected by the road traffic which can be quite congested. 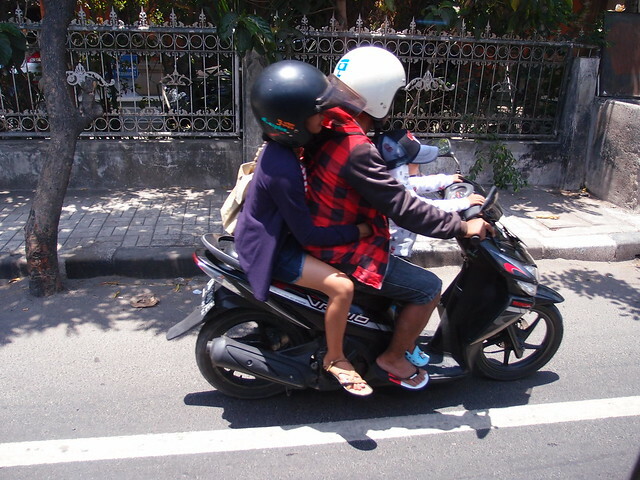 While it might seem fun to ride a scooter or motorbike it is really unsafe as accidents occur often and road rules are treated as an option to follow or not. 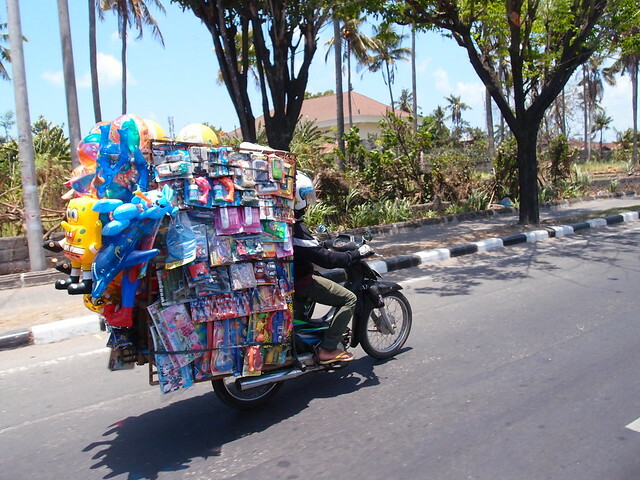 Scooters/Motorbikes are a popular form of transport for local Balinese because they can’t afford cars. It is common to see families of mum+dad+child on one scooter as you can see below and also mobile shops cunningly designed to fit around the scooter. Poorer entrepreneurial Balinese work as “Jockeys”, hiring themselves out to sit in someones car so it qualifies to drive in faster lanes meant to reduce congestion. 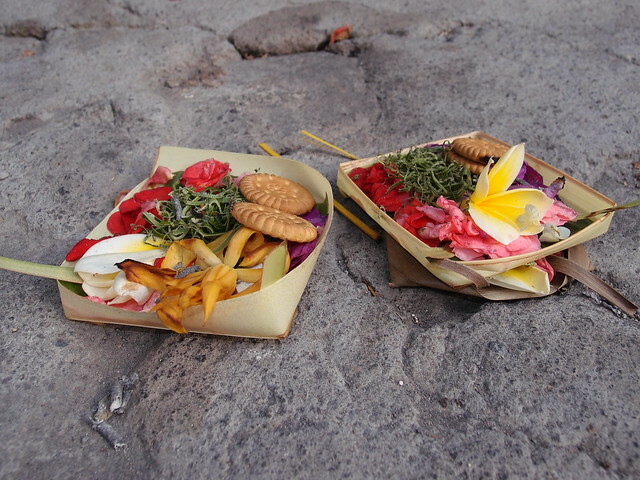 The Hindu religion is prominent in Bali. A large proportion of people’s income and time is spent on ceremonies. Ceremonial offerings can be seen everywhere outside shops and homes and in vehicles. Tanah Lot (land on the sea) built in the 11th century and extended in 16th century is one of the 6 main temples in Bali. Rice is the staple food in Bali and subsistence farming is a common occupation. A temple dedicated to the goddess of agriculture on the edge of the rice field is placed there by the farmer to help the crop succeed. 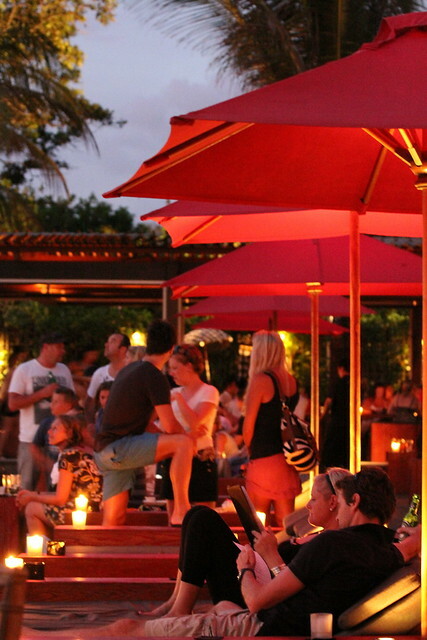 Ku De Ta beach bar and the Potato Head Beach Club are popular places for Australians and other Western tourists to relax. 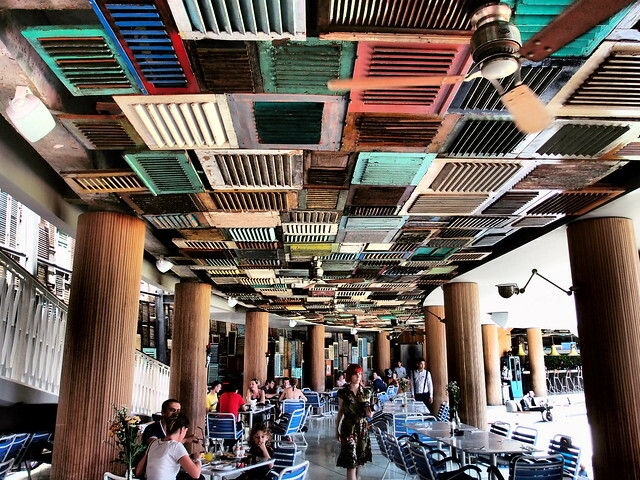 The Potato Head Beach Club has a unique look with a facade of 18th century teak shutters collected from across the Indonesia. 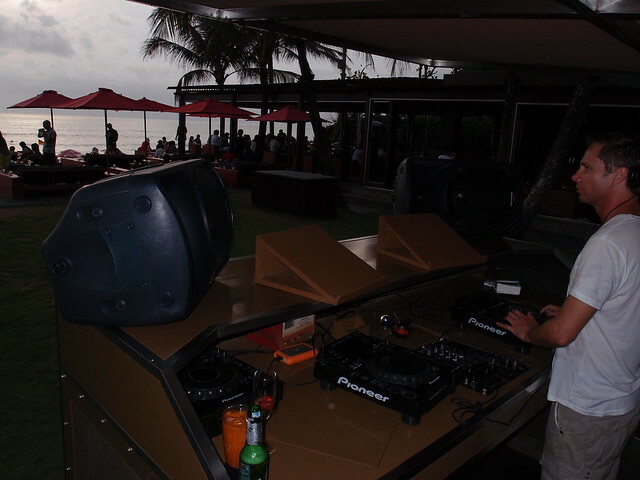 Ku De Ta has live DJ’s playing Chillout music (my favourite). You can can listen to Ku De Ta radio syndicated on some days in Australia via the KOFFEE digital/online radio station. 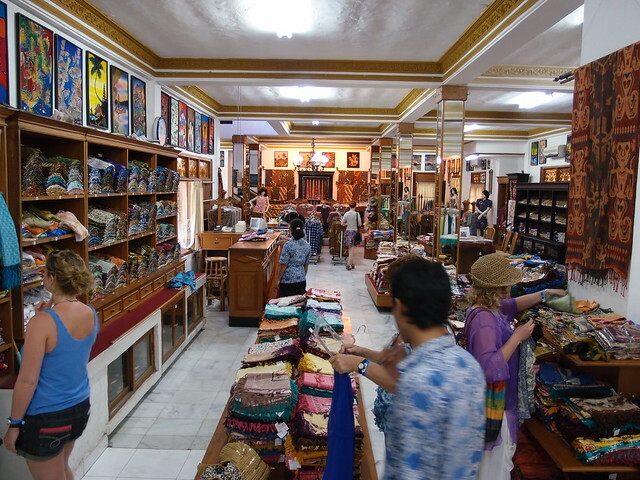 My recommendation for a good quality local souvenir is a Batik scarf or other clothing. Batik is a cloth that traditionally uses a manual wax-resist dyeing technique. DISCLAIMER: Almost all expenses for this trip were covered by Air Asia and it was organised by Bali Plus who arranged for a great guide called Sedana. I have full editorial control over the topics I want to write about on this trip and what I say. 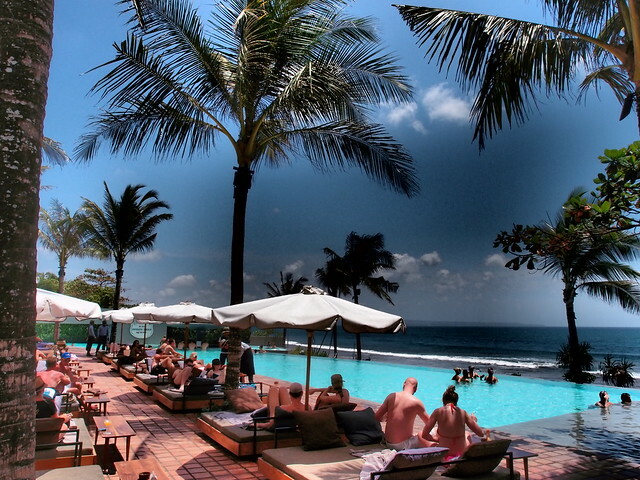 Bali is just Awesome place to visit as I have heard and read lot about it specially about bars and clubs. Let see when I get chance to visit Bali. Anyway thanks a lot for this wonderful post. Bali is great. I visited it last year. Bali is an Indonesian island surrounded by Indian and Pacific Ocean. It is one of the most popular tourist destinations on the earth. If you want to enjoy the culture and friendly, laid back environment of this island then book your cheap flight to Bali. Many airlines provide cheap flights to Bali these days. I am from the Philippines and Indonesia is only 3 hour flight away. I am now packing my bags and Bali Here I come. Thanks for post because without it this I can’t discover the beauty of Bali. I got divorced in Thailand two months ago and have been trying to find a destination to regroup and rediscover myself. After reading this post, I think Bali would be a great place to do this. However, I have friends that have been there that didn’t enjoy it for various reasons while others think it’s an amazing place. I’d like to hear thoughts from you and other readers about going to Bali to pick up the pieces. I need to go somewhere beautiful and peaceful. It has to be a place where I can have a light social life but also get away from people and have ample time to myself. I definitely want to go outside of Thailand to get myself together again. 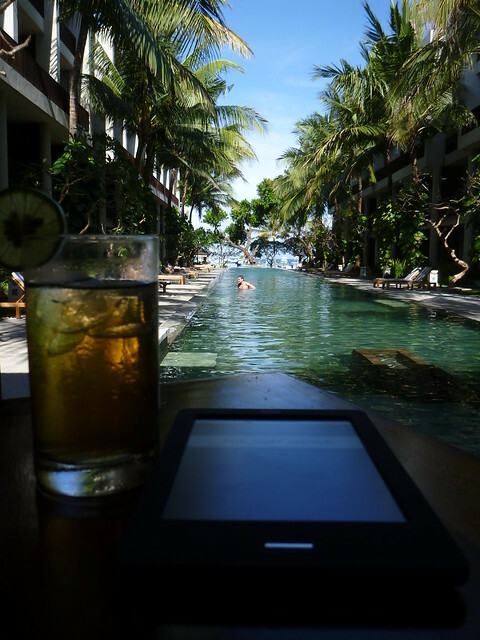 Thank you for this information about Bali, and for all of the other great travel stories and tips that you provide on your blog. Your blog is very impressive! Nice post. This post is different from what I read on most blog. And it has so many valuable things to learn. Thank you for your sharing!